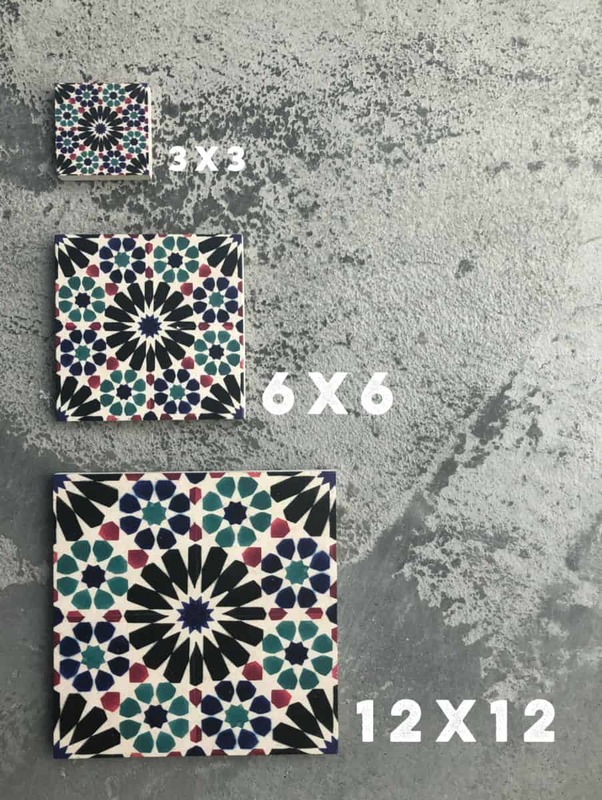 We regularly get asked questions about our Deco Dots tile series so we thought we would dedicate an entire blog post on these unique tiles. We offer 3 different variations of the Deco Dots as a part of our made-to-order collection; the Bristol Collection, the Saybrook Collection, and the Damico Deco Dots Collection. Each set has 16 different designs that are meant compliment each other and stem from a similar color palette. 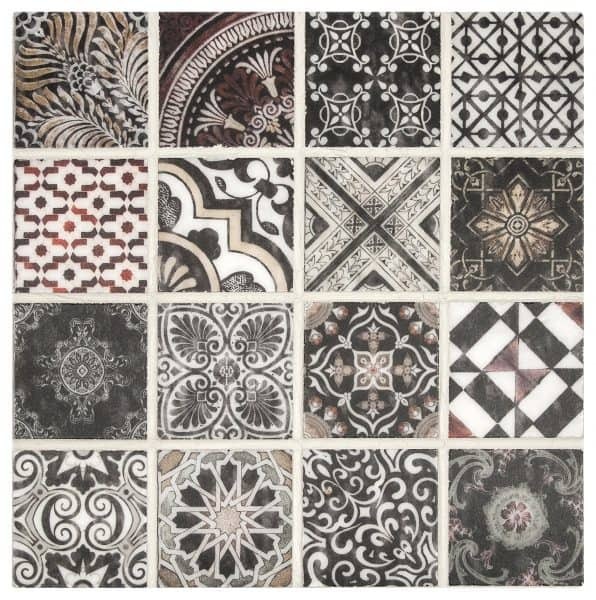 They can be used as a mosaic or ordered individually. 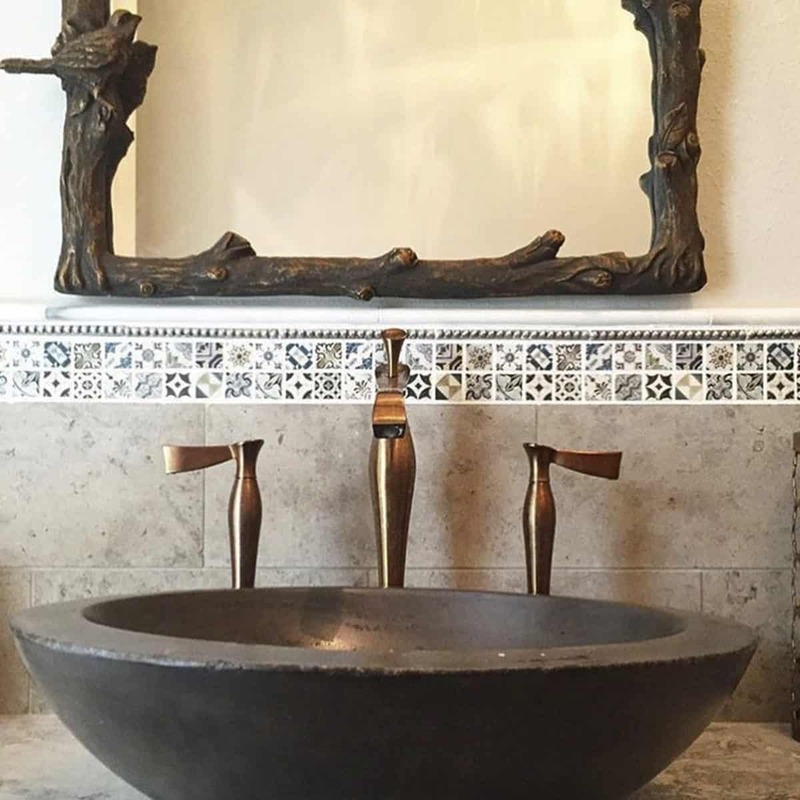 Probably one of our favorite ways of customizing the deco dots is by changing the stone type to fit your home style. 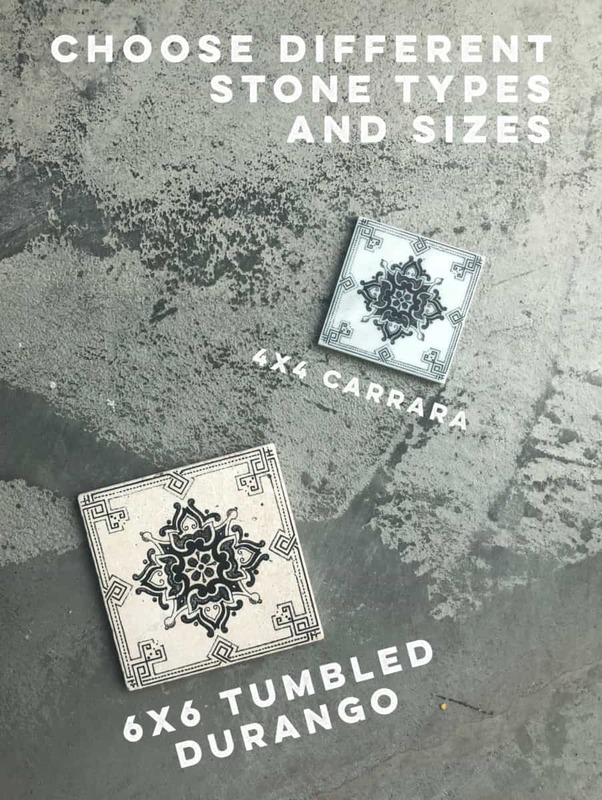 We offer eight stone types ranging from a traditional tumbled durango to a contemporary honed carrara. 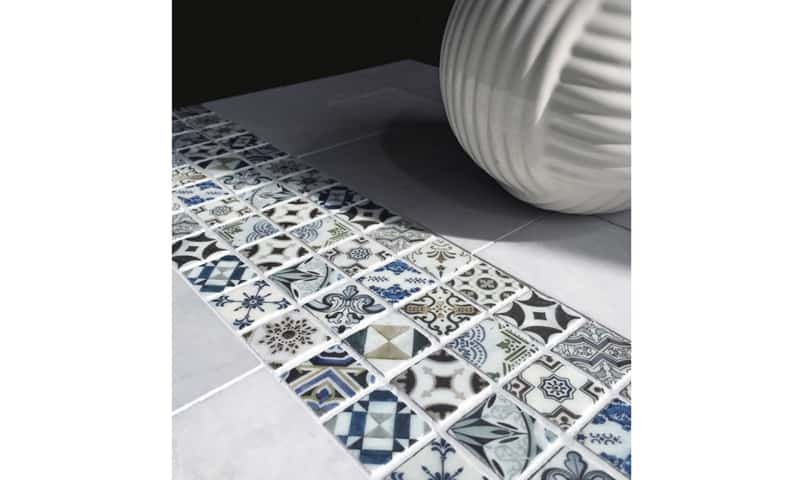 The choice is completely up to you if you want to keep things classic with a tumbled, natural stone or more modern with a white stone like thassos. 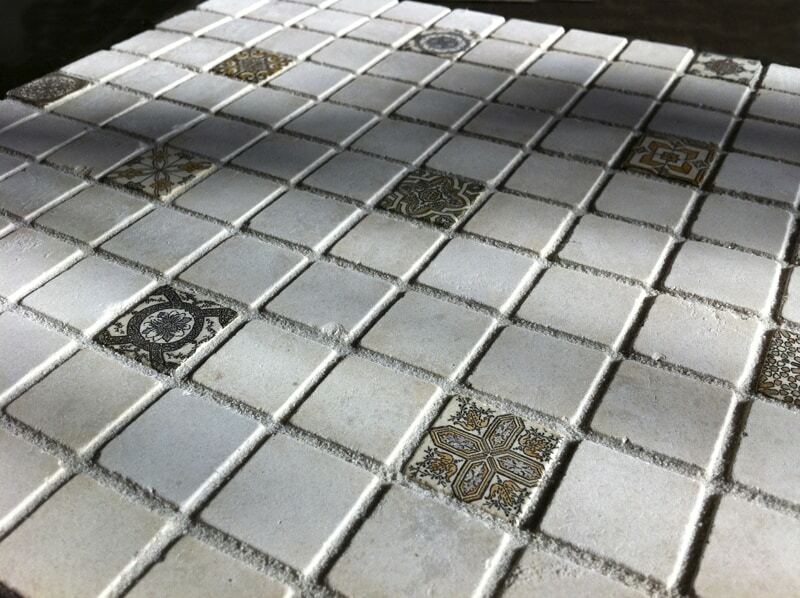 You can see below that stone choice plays a big part in the look of the tile. 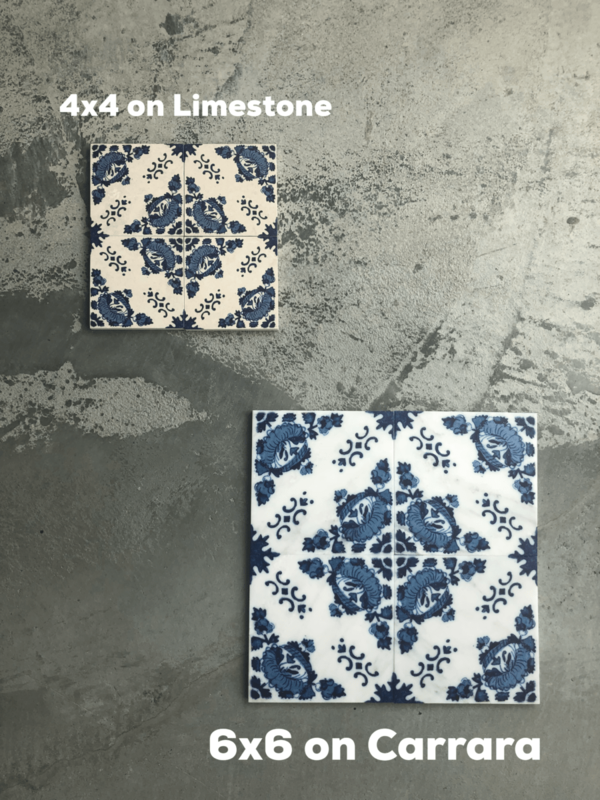 The pattern on the 4×4 limestone would fit perfectly into a rustic, Spanish style home whereas the pattern on 6×6 carrara would look stunning in a Dutch-style kitchen. 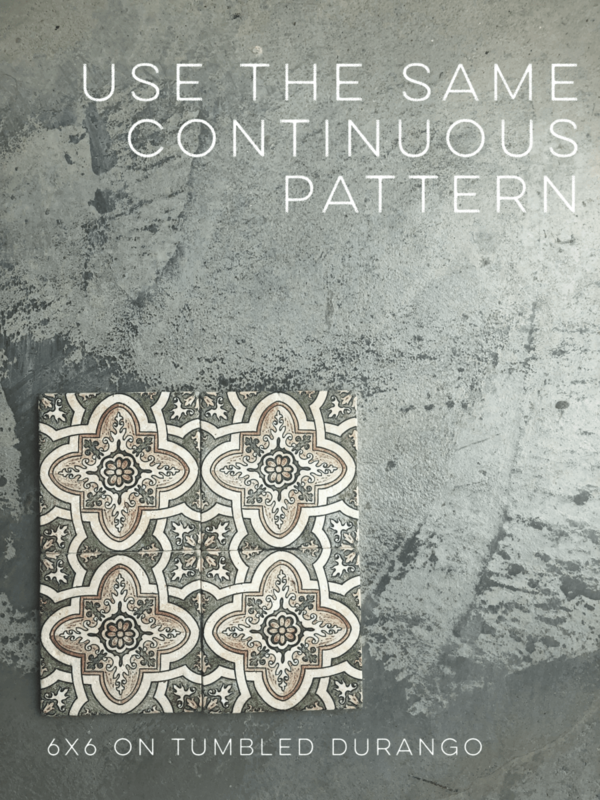 If you ever take a long look at the Deco collections, you will realize that each individual pattern is uniquely stunning. 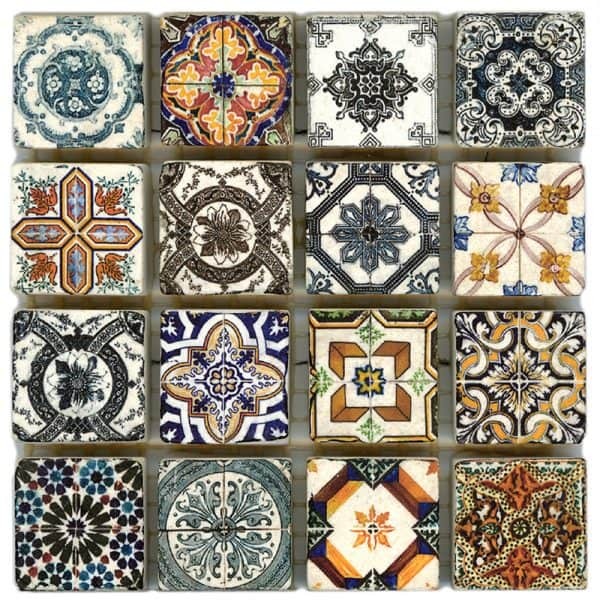 We frequently see large orders of one specific Deco on a 6×6 tile being shipped out and we wish we got to see where they end up. 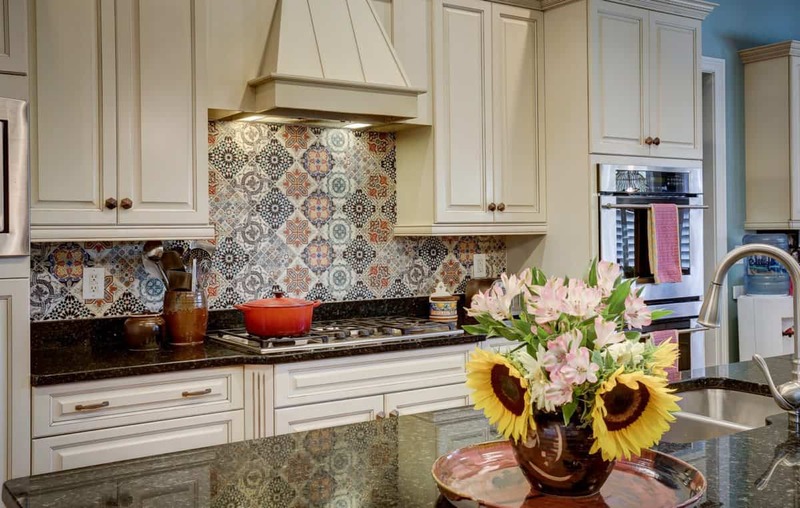 Using one of the tile patterns creates a cohesive look that showcases one strong design. 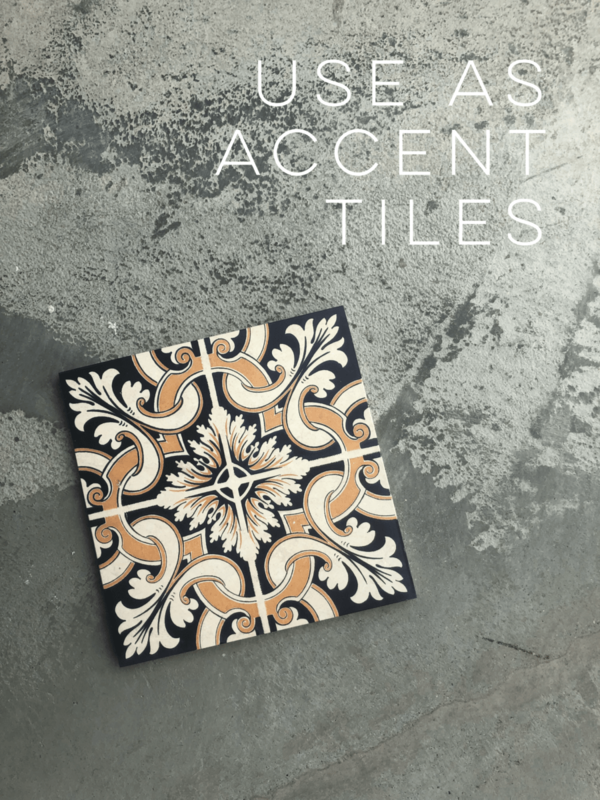 If you want to keep the cost down for your home project but want to incorporate decorative tiles, we would recommend picking one or multiple patterns and using them as subtle accents in your home rather than an entire backsplash or floor design. 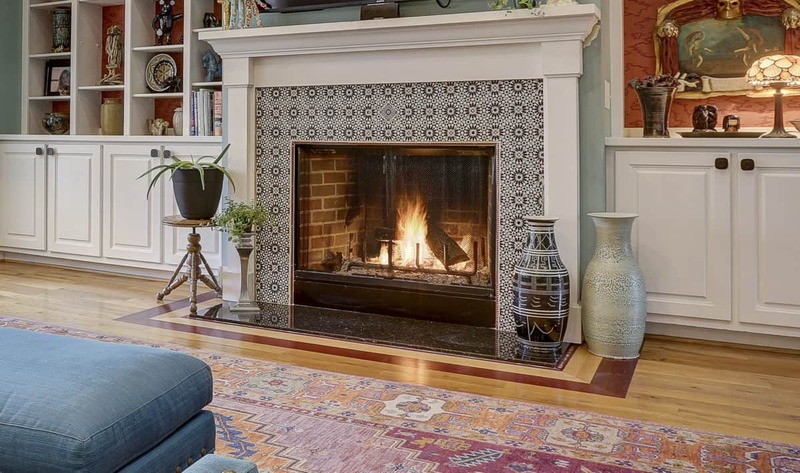 This concept still gives your home eye-catching decor without requiring a huge budget. 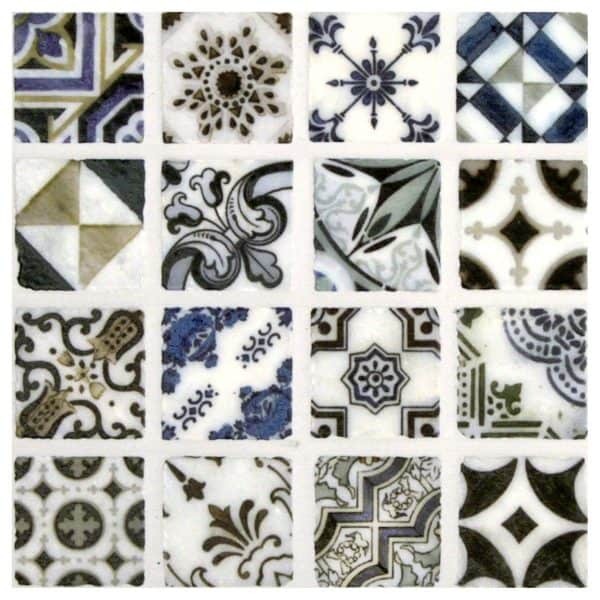 Not many people realize how important the scale of a design is when choosing tile for a space. 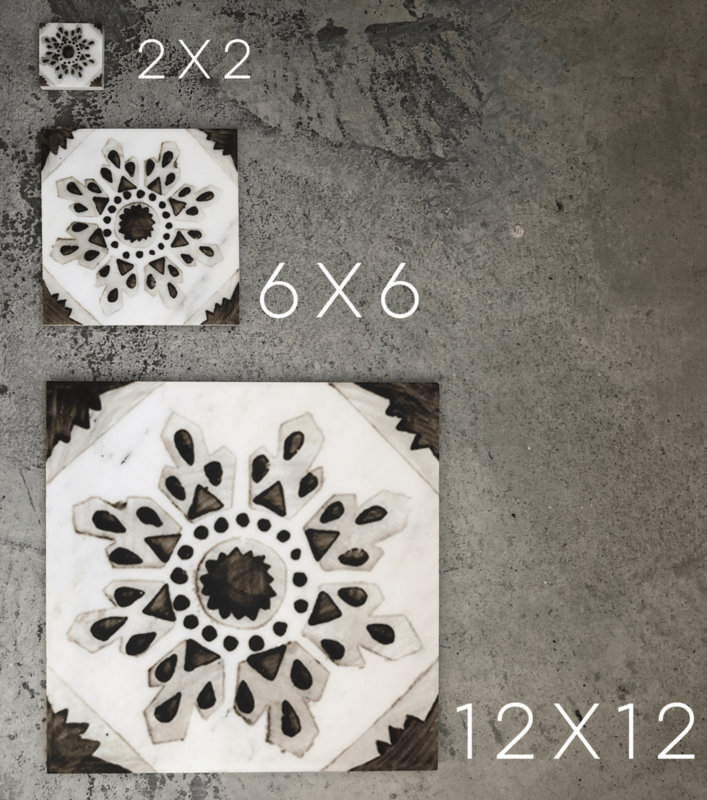 Some designers want to go as big as 12×12’s or as little as 3×3’s. The good news is that it is completely possible with the Deco Dots collections! All of the Deco Dot patterns are available on 2×2, 3×3, 4×4, 6×6, 8×8, 12×12, or 18×18. 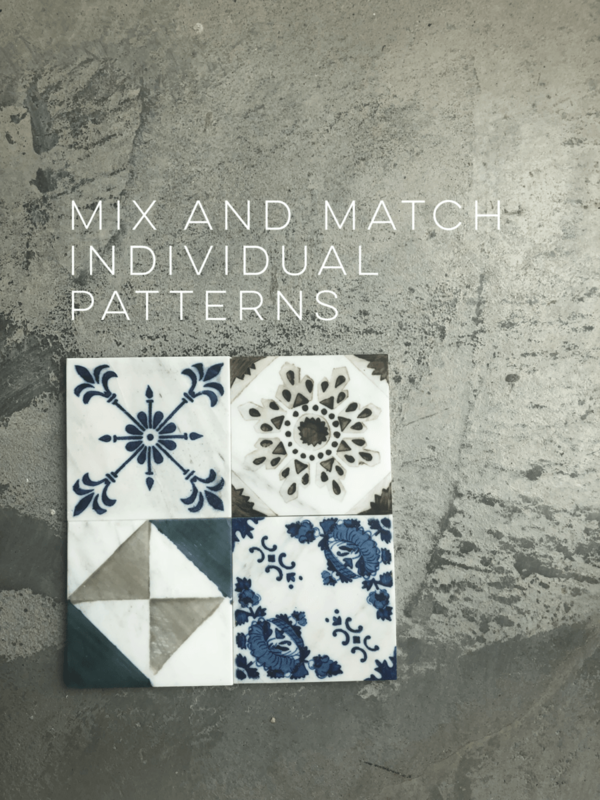 While some people want to repeat a single pattern in their space, some homeowners want to select a few patterns from the Deco collection and mix them together creating am mosaic or patchwork look.